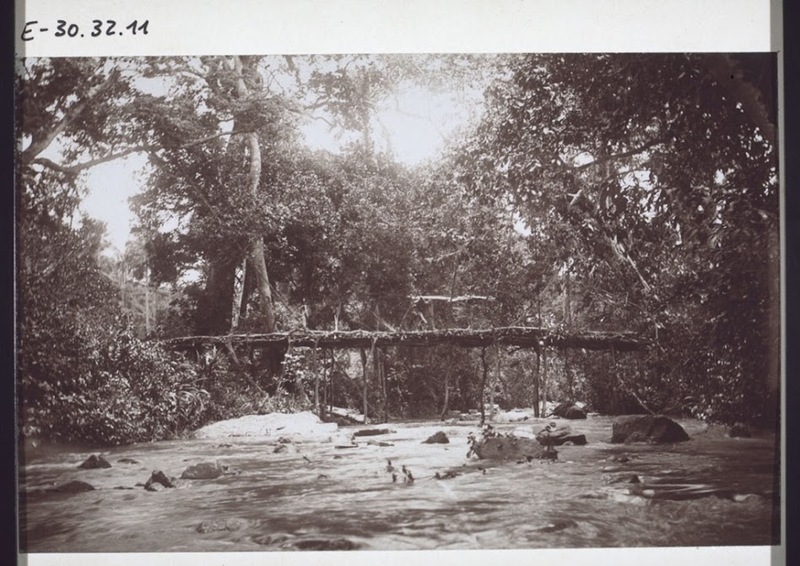 "Bridge on the way to the Chief's farm." [English: Bridge on the way to the Chief's farm.]" "[original caption] Brücke auf dem Weg in die Häuptlingsfarm." Title: "Bridge on the way to the Chief's farm." Göhring, Martin (Mr) , “Bridge on the way to the Chief's farm.,” BMArchives, accessed April 19, 2019, http://www.bmarchives.org/items/show/59923.